To see the entire program of activities arranged in conjunction with the exhibition, click here. One of the strongest trends within photography today is the great interest in photobooks. There are a number of reasons why so many photographers choose to show their works in book form. Technical progress is an important aspect, and with the rise of digitisation it has become both easier and cheaper to produce books with exceptional image quality. Books also provide the possibility for photographers to decide for themselves how the images are presented and compiled. By combining individual pictures or series of photographs, new contexts emerge. From an editorial standpoint both the size of the images and the breaks in between are important components and emphasis can either lie on the visual or on more narrative qualities. In the case of the latter, texts often contribute towards developing and providing depth to the content, and it’s not unusual for photographers and writers to collaborate. The materiality of the book is of great importance, which is evident in the care that is taken to choose the paper, cover, format and all the other parts that fall within the ambit of graphic design. This is also an area where collaboration is common and the result is usually dependent on both the photographer’s and the graphic designer’s abilities and ideas. Photobooks are, however, not a new phenomenon. Books and the photographic image have a joint history that stretches from the establishment of photography in the 1840s to today, but photo books only started receiving serious attention in the early 2000s, in Sweden and internationally. The growing attention to photobooks has led to an expanded view of the history of photography, as well as creating new ways of spreading photography and reaching an audience. A culture has established itself around photobooks, including photographers, publishers, collectors, festivals, trade fairs and digital media. Experiences and ideas are transmitted within these networks and forums; books are reviewed, circulated, bought, exchanged and sold. This development means that the book is no longer just a supplement to exhibitions at galleries, art institutions and museums but increasingly functions as a place of display in its own right, with unique possibilities. As objects, books have a completely different permanence than exhibitions, which are time- and space-specific. By contrast, books remain and can be distributed on the global photography scene. 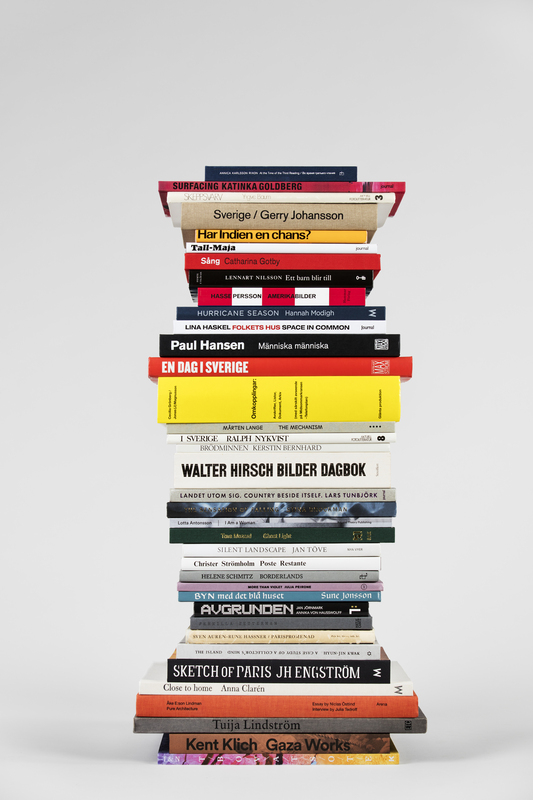 Although there have been many books and exhibitions about the history of the photobook – seen from national as well as international perspectives – Published is the first exhibition and book that highlights the photobook in Sweden. The project spans the first examples with glued-in photographs from the 1860s, via the different movements that have had an impact on the photobook in the twentieth century, up to today’s extensive and rich publications. Two hundred books have been selected for the exhibition, based on three themes: Society, The Self, and The Image. The terms reflect overarching issues that have a strong presence in photography, gathering together books that deal with the specific topics and perspectives. The category Society deals with work, accommodation, leisure time, alienation and inclusion, and public space. The portrayal of different identities, the subjective gaze, personal experiences and life stories form the core of The Self. In The Image the motif is more central than the narrative and there’s a visible fascination with the phenomenology of things, as well as the aesthetics of photography and the book. Although the categories capture and show different aspects, they do, of course, overlap and intersect with each other in important ways. This is the case, for example, when it comes to the link between the personal and the political, as well as the fact that a preoccupation with aesthetics does not exclude the possibility of the images having a deeper meaning and effect. Photobooks are visual and tactile objects. Instead of showing the books in display cases, Published is an open exhibition where the viewer can freely page through, look into and read the exhibited books. The handful of books that are too fragile or valuable to be made accessible in this way are available in the Hasselblad Foundation’s library, where visitors are welcome. The literary side of photobooks is highlighted through audio recordings of selected texts that the viewer can listen to in the exhibition. The purpose of Published is to present the history of the photobook in Sweden and the many forms that published photography can take, but it’s also a survey on how the photographic image depicts and forms man and society. The exhibition is part of the on-going research project Photography in Print & Circulation, which is a collaboration between the Hasselblad Foundation and Valand Academy. The project will culminate in a comprehensive publication about the photobook in Sweden, published in the autumn of 2018. Click here to see the entire program of activities arranged in conjunction with the exhibition.